Happy Summer! In this edition of our Career Training USA newsletter, you'll find helpful tips on creating a U.S.-style resume, how one host’s internship experience made him want to give back to the next generation of international interns, and why our current participants think you should sign up too! Don’t miss your internship opportunity - use our expedited service to get approved in just three days! And don’t forget you can apply with a friend for a $150 discount. Questions or comments? Feel free to reach out to us at [email protected]. Prager Metis' Italian team spends a lof of time together! 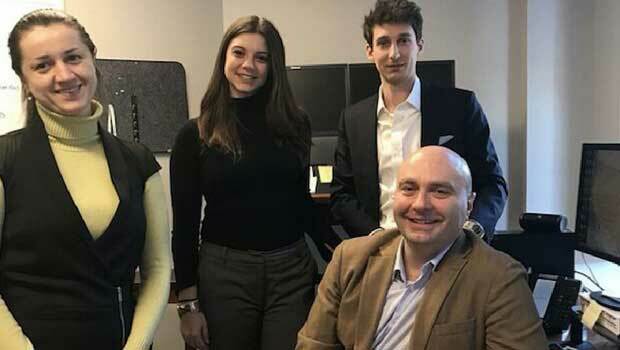 "I arrived in New York 15 years ago as an intern, and that experience changed my life forever," said Andrea Fantozzi, a partner at international accounting firm Prager Metis. "When you have a dream, realizing it requires a lot of hard work. It is certainly difficult to confront oneself with a different culture and having to function in a foreign language presents all sorts of problems, but the personal rewards can be immense." Prager Metis has been a trusted J-1 host employer, working with InterExchange since 2014, and has provided excellent internship opportunities to young international students in accounting, business, and marketing. Mr. Fantozzi works not only as a partner in the firm, but also mentors Career Training interns in his capacity as the head of Prager's Italian Team. 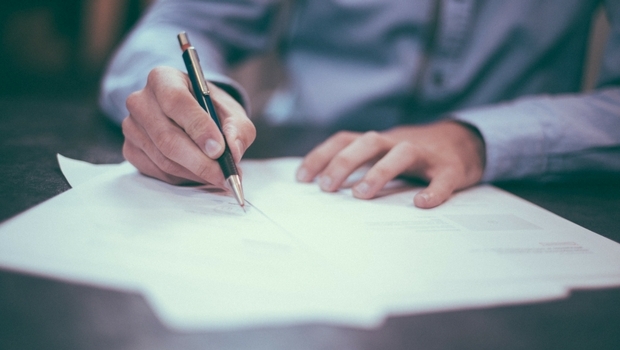 Use our articles and resources to create a winning resume! Are you ready to intern in the U.S.? The first step to making your dream a reality is creating a winning U.S.-style resume and supporting documents. American employers expect a one-page resume that includes your education and work experience in chronological order, as well as a cover letter that details why you're an ideal candidate for an internship. Use our tips, sample resume, and template to get started! LinkedIn has become an essential part of searching for internships and networking, so once you've got a great resume, you can use that same template to create a LinkedIn profile and begin reaching out to employers. Once you’ve found your perfect internship, you can apply for sponsorship with InterExchange by signing up on our website. Interning in the U.S. with InterExchange will be the experience of a lifetime. Max benefited working alongside his experienced, supportive colleagues. Through Florence's communications internship, she was able to take part in International Day of Peace at the United Nations General Assembly! We get wonderful feedback from our participants as they finish their internships and training programs! Here are some of the reasons they tell us other people should take advantage of this opportunity. Interns in San Francisco enjoyed meeting and getting to know each other! This spring, InterExchange hosted an event at the Boudin Bakery in San Francisco for InterExchange and other J-1 participants. We got a great introduction to sourdough bread - including an introduction to the “mother dough” - and its place in San Francisco history. 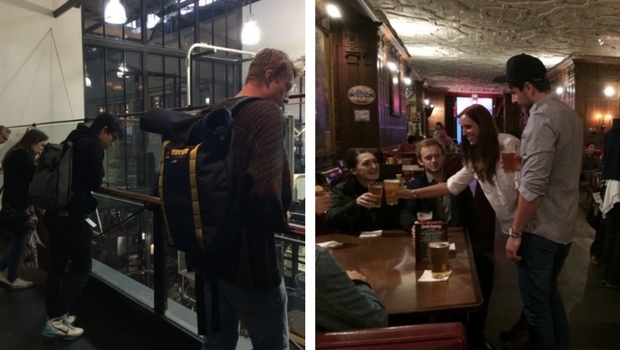 After we saw how bread was made on the bakery floor, participants headed to Jack’s Cannery Bar to swap stories about their programs and travels in the U.S. over drinks and snacks. We were lucky enough to be invited to the ESN Annual General Meeting in Berlin this year and we really enjoyed meeting with students studying all over Europe. It was fun to hear about their experiences abroad and watch as friends and former classmates reunited with each other in Germany! InterExchange is a nonprofit organization with more than 40 years of experience dedicated to promoting cultural awareness through a wide range of affordable and exciting work & travel, professional training, internship, au pair, camp, language learning, and volunteer programs within the U.S. and abroad. InterExchange is designated by the U.S. Department of State to sponsor the J-1 Visa for people from around the world who would like to engage in cultural exchange by visiting the U.S. for a defined period of time. Our Career Training USA program helps international students and young professionals enjoy internships and training programs across the USA. We help international visitors to best take advantage of the cultural opportunities offered by their local host communities in the U.S. Similarly, we encourage U.S. host employers to promote cultural learning by introducing international visitors to uniquely American values, customs, history, and activities while simultaneously learning about the countries and cultures of visiting participants. Strengthening these relationships makes achieving the goals of mutual cultural exchange possible and allows us to build a global community - one person at a time.